The process of outsourcing logistics and be a hectic and complicated one, if not done properly. To avoid a stressful experience, it is imperative that you choose the right third party logistics provider. If you choose to deal with a provider that’s more concerned about the next shipment than the one that’s currently en route, it’s not going to turn out well. At 3PL Center, we value customer service. We are advocates of honest and transparent communication, and continually strive to solve potential problems with the provision of proactive solutions. You can say that we have a service-first culture; we bring value to our clients in every project undertaken and look beyond singular transactions. Customer service is a type of support offered to customers before and after a product or service is procured. This service ensures that there is an easy and enjoyable experience between service provider and customer. In addition, customer service is more than just answering questions. It is an important part of the promise a brand makes to its customers. What’s more, customer service is a major driver of customer experience. At 3PL Center, our customer service team is empowered to go above-and-beyond with you. Today, the fine line between services and products is quickly blurring. Customer service is becoming part of the product itself – our third party logistics solutions. Sometimes defining customer service can be difficult. However, measuring it is even harder. To avoid confusion, just remember that it is more than being helpful and courteous. A brand or company needs to be knowledgeable to solve complex problems efficiently. That’s why 3PL Center makes an effort to know a shipper’s needs inside and out. Why Should You Choose 3PL Center for Customer Service? 3PL Center has amassed a wealth of experience in delivering top-notch third-party logistics solutions for more than six years. Since our inception, we are fully aware that the 3PL industry is highly competitive. That’s why we ensure customer satisfaction by implementing fair pricing practices and are dedicated to providing exceptional customer service. Whether you are a large-scale global manufacturer or a small-sized wholesaler, we always believe that there’s a chance to build a trusting relationship. 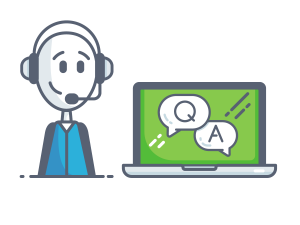 Our customer service team is available 24/7 to fix any shipping problems you may encounter. We serve our customers with an equal level of dedication and passion for their third-party logistics needs. That’s why there’s no such thing as ‘ just another transaction’. Ready to Get Started with Customer Service? To find out how you can start enjoying 3PL Center’s expedited services for third party logistics, simply email us at sales@3plcenter.com or call us at 732-391-2500 today for more information.